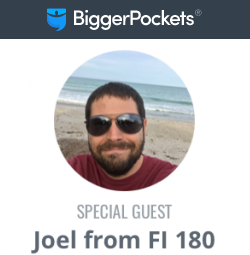 In our last few posts, we discussed our financial 180, and our strategies for saving money on food, shopping, and monthly recurring bills. So far, we’ve shown how we uncovered $3000 per month, and used that cash flow to douse the fire on our mortgage from hell. 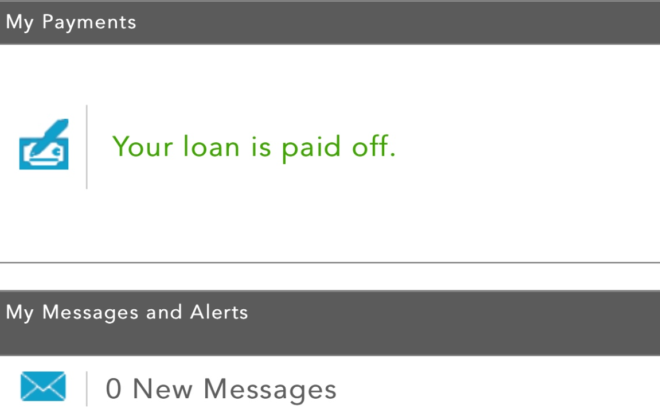 But even with these extra principal payments, the mortgage payoff seemed to be taking forever! We wanted to have the house paid off in under two years, and to do so, we needed to free up more cash flow every month. 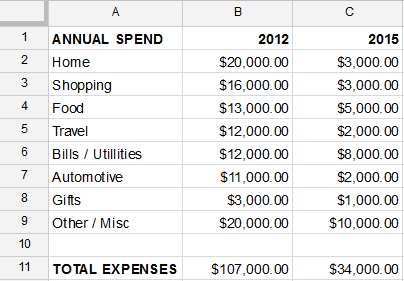 Let's look again at our annual expense and see if we can really get our savings snowball rolling. Travel was a straightforward category to cut: we just had to stop traveling so damn much! Before our financial 180, we would often travel out of state once per month or more. But these weren’t leisure trips. They were guilt trips. With no kids and good salaries, most of our friends insisted we fly out to visit them every time. Our town was smaller and less interesting anyway, or so they’d say. And fly out we did. Our work schedules gave us every other Friday off in exchange for longer (9+ hour) work days, so nearly every other weekend was spent in an airport. We didn’t know about travel hacking at the time, so our tickets were often purchased at full price, on a whim a few days before traveling. This is not an affordable way to travel! After a few years, we realized this type of routine travel is actually a chore. We dreaded the airport lines. We hated spending two days of a three day weekend in transit. And we hated the stress of coming home a few hours before work on Monday, with no time to cook, clean, or even take care of ourselves. I was spread too thin, and paying hard earned money for that stress. Reducing our travel was a relief. We knew we needed more time for cooking and household maintenance, so cutting back was a win-win. If people really want to see us, they can come visit. We have a guest room waiting. Cutting back on travel saved us over $10K per year. It also greatly reduced our stress levels, and gave us time to practice cooking! Note that we didn't eliminate travel completely: we still budget for and enjoy slower, more relaxed travel. Instead, we cut the weekend obligatory trips to see out of state friends and extended family that never returned the favor. The biggest improvements we made in the automotive department were paying off our car loan in full, and becoming a one car household. This cut our gasoline expenses, and removed redundant registration, insurance, and interest costs. But this was only the beginning. Motivated to pay down our mortgage quickly, we decided to reduce our driving in general. Instead of taking weekly 100 mile round trips to Orlando to visit Swedish furniture stores, we stayed local and looked to Craigslist and thrift shops for our furniture needs. Instead of driving to the next county to eat at the popular 4 star restaurants, we discovered a few hidden gems right in our own neighborhood. When possible, we began biking to nearby shopping centers for errands. We also started walking to the parks and library in our neighborhood, instead of driving, and the savings really began to snowball. 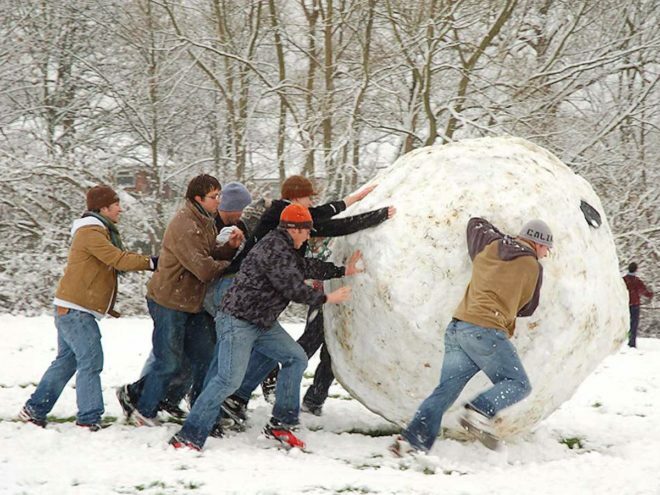 Once the savings snowball picks up momentum, it's hard to stop! Gifts are one of those areas where you need to tread carefully and make changes slowly. Every family and friend network is unique. Our strategy was to gradually go from being that couple that gave pricey, fancy birthday and holiday gifts, to being the couple that gives thoughtful homemade gifts or meals. For many people, delicious fresh baked cookies and a thoughtful card are probably preferable to yet another plastic gizmo or kitchen gadget, but know your recipients. For the most part this strategy worked well for us, but again, this is a delicate subject for many people so move slowly. We still enjoy taking family out to dinner to celebrate special occasions. The trick is ensuring the frequency is once or twice per year, not once or twice per month! At our worst, every weekend had become a celebration for someone or something, and we were buying someone a drink or a meal on a weekly basis. This had to be phased out, and over time, we were able to reduce the amount we spent on this category by two-thirds! Ah, the miscellaneous category. The area of Personal Capital where everything is conveniently swept under the rug! We knew if we were going to get serious paying off our mortgage, we needed to tidy up all areas of the budget, and the ‘misc' area was ripe with opportunity. Entertainment made up a large portion of our miscellaneous spending, so we got out the red marker and started circling unnecessary luxury items on our monthly statements. What did we find? Weekly trips to the movie theater (complete with over priced theater refreshments), an XM radio subscription, and expensive season tickets to Broadway style shows. These costs add up, so we cut them and replaced them with free or cheap alternatives. Redbox movies are only $1 a day, and pair well with home cooking for date night. Pandora and Slacker radio work well in place of XM. And instead of buying season tickets to shows in the big city 50+ miles away, we started buying tickets to local playhouses once or twice a year instead of once or twice a month. This has the added benefit of making these events feel more special! Convenience and luxury was another problem area for us. We found tons of ATM fees, huge monthly dry cleaning bills, monthly spa packages and massages, fancy and unnecessarily expensive tax prep software, and additional credit cards with annual fees. While super expensive, items like these are easy to fix if you just tackle them one at a time. We stopped going to ATMs that charged fees. I changed my work wardrobe to one that didn't require dry cleaning. We did some research and learned to give each other better massages at home for free! These things really add up. 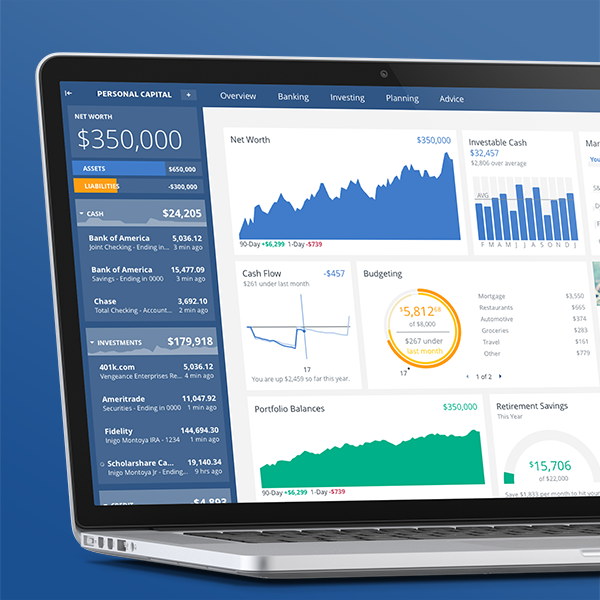 Within a few months, our savings snowball had increased past $5000 per month, and kept growing. We used that cash fire hose and paid off our mortgage in under two years! Once the mortgage was paid off, there were no required monthly principal and interest payments, and the snowball grew even faster. We were also able to lower our homeowners insurance coverage and increase the deductible higher than what the terms of our original mortgage would allow. This saved us even more. By 2015, our savings rate had surpassed 80%. But what is the significance of savings rate anyway? 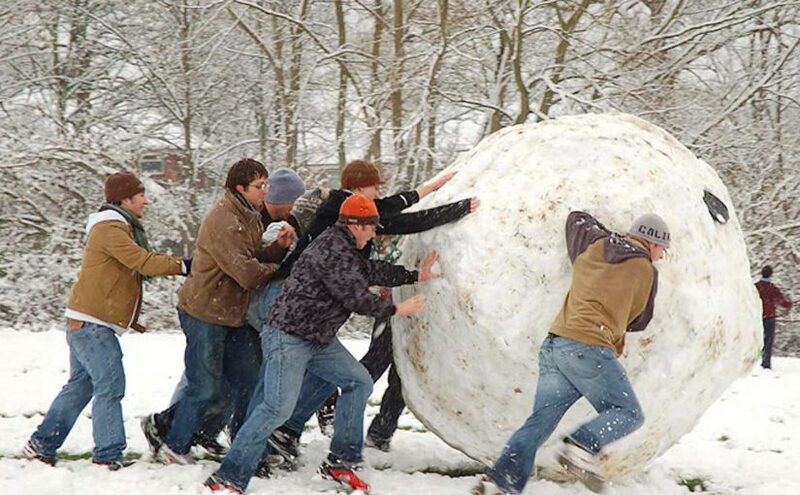 And how did we use this savings snowball to accelerate towards financial independence? All this and more… on the next Financial 180. What a story. Great approach to continuous improvement. What I’m also reading is the great teamwork you two do. It takes two to keep hacking at expenses like this. Really enjoyed teading this post. Next Next post: How Long Will You Work?